Obama Administration Aims To Expand Access To Solar Power : The Two-Way The White House is announcing a series of moves, including installing more solar energy units in federally subsidized housing, low cost loans for homeowners and a program to help renters. 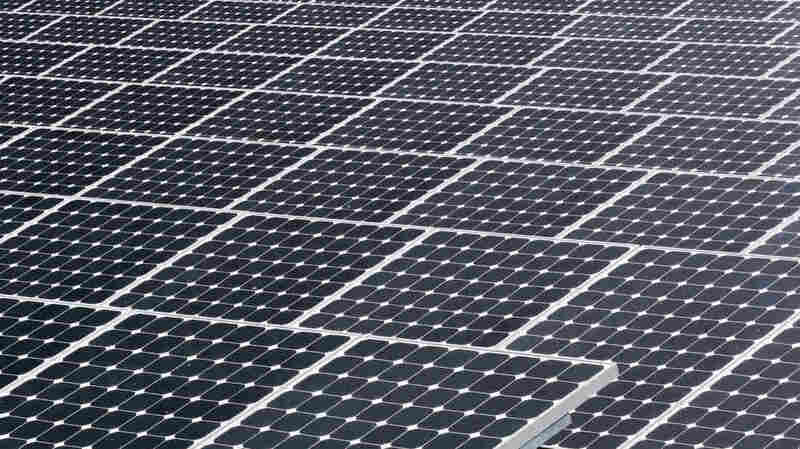 Solar panels gather sunlight in Florida. The Obama administration hopes to make solar power more accessible for low- and middle-income Americans. It's announcing a series of moves, including installing more solar energy units in federally subsidized housing, low cost loans for homeowners and a program to help renters. "More and more voices of late are airing concerns about equal access to solar energy. 'The rapid decline of solar panel costs in recent years has ushered in a solar boom that has not spread uniformly across the spectrum of U.S. household incomes,' notes a recent paper from the George Washington University Solar Institute. 'Despite being more vulnerable to energy costs, lower income Americans have lagged behind more affluent households in adopting solar and realizing its numerous benefits.' "
The administration plans to train some 200 low-income people to get jobs in the solar industry. And states, local governments, industry and charities have pledged $520 million for investments in community solar programs.